After 22 months on the job, Burlington Free Press publisher Al Getler has been replaced by his predecessor, the newspaper announced Thursday. The Gannett-owned daily provided no explanation for Getler’s departure. He declined to comment. Returning to the paper’s top job is Jim Fogler, who served as publisher for four years before leaving in September 2014 to become vice president of business development at Party City. 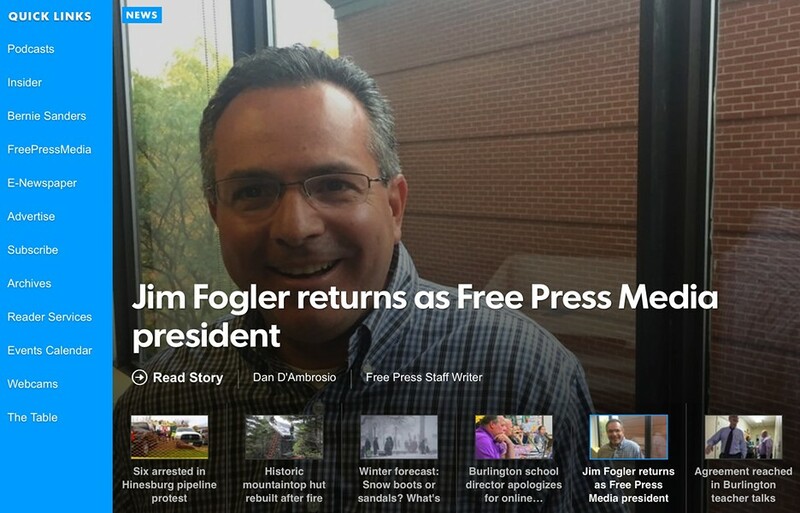 Fogler returned to journalism — and Gannett — in January, when he took a job as publisher of the Poughkeepsie Journal. According to the Free Press story announcing the transition, Fogler will now publish both papers. Even after he took the job in Poughkeepsie, the story said, he continued to commute between the two regions, because his family remained in South Burlington. In a separate story published Thursday in the Journal, Fogler made clear he was not leaving Dutchess County, N.Y. Neither Fogler nor Gannett northeast regional president Thomas Donovan responded to requests for comment Thursday afternoon.